Escape the snow and head to this subtropical paradise for a domestic winter excursion. Offering everything under the Floridian sun, you’ll see why everyone’s headed south this winter. Start your day the way all Best Western Hotels & Resorts travelers do, fueling up with a delicious breakfast! Learn how to make an award-winning key lime pie at Key West’s sweetest spot. The best part? After creating your mini masterpiece, you get to take it home to enjoy! After a delicious morning snack of key lime pie, you may be wanting a healthy lunch option. Look no other place than Date & Thyme. Not only do they offer vegan and vegetarian-friendly options like acai bowls and avocado toast, but they have an extensive juice and smoothie menu as well. 14:00 – Visit the southernmost point of the continental U.S.
Visit the famous concrete buoy that has withstood hundreds of downpours and several hurricanes when you visit what is argued as the southernmost point in the continental U.S. Discover the natural beauty of Florida’s flora and fauna at Key West Tropical Forest & Botanical Garden. Serving as a wildlife refuge and habitat, the grass really is greener in this garden. Each sunset is a party in Mallory Square. Everyone from street performers to locals will be watching the day end over the water. Be sure to scope out your spot early to watch this show. Enjoy panoramic views of the Atlantic from the renovated oceanfront Victorian residence that Louie’s Backyard now calls home. Earning its place in the National Register of Historic Places, the restaurant offers both a gourmet dinner and café-style experience devoted to the art of fine food and wine. Formerly known as Sloppy Joe’s, Ernest Hemingway frequented what is now Captain Tony’s most evenings between 1933 and 1937. This Key West landmark and national treasure wasn’t home to just Hemingway. Jimmy Buffett also attributes his success to the bar in his song “Last Mango in Paris.” Uncover the history of the oldest bar in Florida in this can’t-miss stop. Start off your second day in the Keys with a delicious breakfast at Best Western. You can’t go wrong by beginning your morning with a waffle (or two)! After breakfast, begin your adventure by relaxing at Smathers Beach – the largest public beach in Key West. Half a mile long, the beach is perfect for taking a dip in the water, an early morning jog or even parasailing. Traditional Northeastern seafood is brought into the Keys at DJ’s. Known for their lobster rolls, the shack has an eclectic menu with items like cracked conch tacos and golden fried clam strips. Discover the magic of the lighthouse keepers and their families at this historic site. Completed in 1848, the Key West Lighthouse was one of the first to have a woman as its keeper. After lighting the way for 121 years the lighthouse was decommissioned in 1969 and is now open to visitors. The best of Key West shopping can be found no other place than the iconic Duval Street! As one of the few places in the world that touches two bodies of water – the Gulf of Mexico and the Atlantic Ocean – you won’t want to miss the local shops, art galleries and funky bars that call Duval Street home. In the heart of Old Town Key West lies a neighborhood wine bar and restaurant locals can’t get enough of, Little Pearl Fish House. Enjoy fresh, local ingredients on your last night in the Keys. Rest your feet after two long days of exploration and enjoy free high-speed internet to check the status of your flight, download directions to drive back home or watch your favorite show. Join Best Western Rewards and Go. Get. Rewarded. 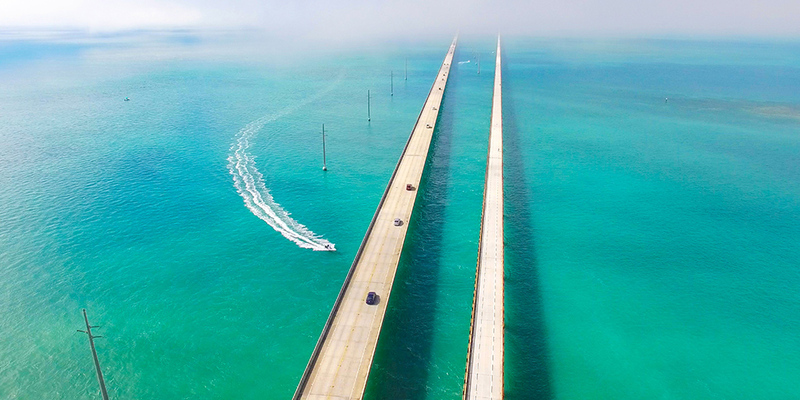 on your next trip to Key West, Miami and other Floridian destinations. Members earn exclusive rates, instant rewards and points that never expire. Sign up for your free Best Western Rewards today!